Don’t let poor indoor air quality wreak havoc on your health, comfort, productivity or quality of life! 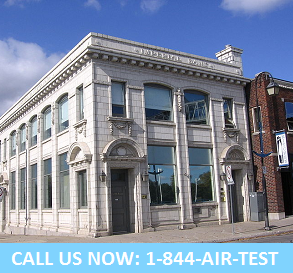 Air Quality Solutions has been working with local Port Colborne home and business owners for over 22 years. As industry leaders, we have the knowledge, experience and accreditation’s needed to identify, locate and isolate airborne contaminants and stressors so they may be effectively eliminated from your residence, workplace or commercial property! We have earned our reputation as your local Port Colborne air quality testing experts! Since 1991 we have been working with our residential and commercial customers to offer cost effective solutions for all your air quality testing needs. We design customized air quality testing and assessment plans that are unique to your specific needs and budget! Call us today! At Air Quality Solutions the health and safety of the air our customers breathe is our number one priority….all you have to do is pick up the phone and make a call. Your home, family, business and employess will thank you!